The Revolver is cheap, prime for early game use. Although inaccurate, the Revolver's quick rate of fire allows it hold its own against players at most stages. Being a revolver, it has a low capacity of just 8 shots, but it's still an upgrade from its 1- and 2- shot alternatives. Taking a Revolver to a fight against opponents with metal armor is quite risky, as such opponents will take many more shots than normal to take out (even more so considering the small capacity). 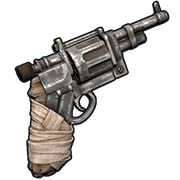 It is best advised to only use the Revolver against opponents with similar armaments or as a sidearm to another weapon. 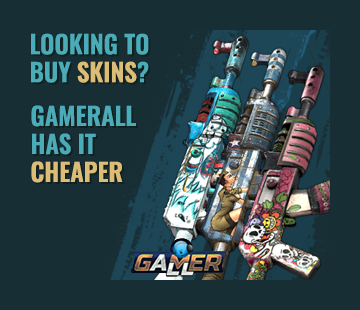 Great weapon for the price, can compete with tier 2 guns If you have good aim. Downsides are the somewhat low damage, bad drop at range and inaccuracy when firing fast. The revolver's capacity, velocity, and rate of fire make it great for denying rushes and routs alike. You're better off using the crossy or bow if your opponent is fighting you behind cover, and it suffers in close quarters if your opponent can make full use of their mobility. As it uses pistol ammo, you should be wary of the comparatively smaller hitbox of the projectiles. Great early game weapon for mid range engagements. Personally I like it better than the Waterpipe Shotgun because you don't have to get close to get a kill. Overall a good early game choice. Tips ::: Investing at some successor weapons (like Python Revolver or Custom SMG) should be considered. The revolver must be abandoned soon as possible as its loses his shine very fast, making you one step back if not caring to evolve your fire power.